It’s a heartbreaking scene that would move anyone. 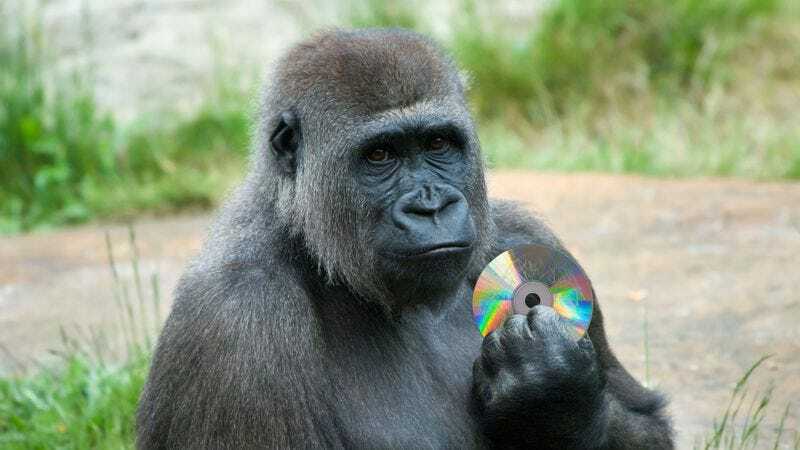 For the past four days, Lola, an eastern lowland gorilla at the San Diego Zoo Safari Park, has been caring for a broken DVD copy of Martin Scorsese’s Goodfellas. But sadly, the damage is beyond repair. According to Weiss, despite the fact that the DVD of the 1990 crime drama is scratched well beyond the point of use, the 14-year-old gorilla continues her daily ritual of washing the DVD in the river, attempting to feed it, and keeping it warm at night against her own body. As to why zoo officials haven’t intervened, Weiss explained that simply removing the critically acclaimed film from the enclosure might cause Lola to react in a way that could compromise the well-being of the other animals. With playback of the film’s iconic scenes ruined and Lola refusing to part ways with the damaged disc, zoo officials now say they have no choice but to wait until nature intervenes.